In my previous articles on the Grace of God (The Way of Grace Pt 1 & 2) I talked about the grace of God being the willingness (favour) and the capability (power) of God to bring spiritually dead people to life as well as grace being the sustaining power of God to enable those He’d brought to life to live and do good works which He’d prepared in advanced for them to do. The good works which includes everything from our simply daily living to our God-given assignments are the means by which God trains or retrain our soul (will, mind & emotions) to submit to the leadership of His Spirit so that Christ characters will be formed in us. Gal 4:19, Eph 3:16-17. In this way our obedience to the works God prepared for us will bring us into maturity in Christ. Maturity in Christ is the reason you’re still here on earth today; the reason Jesus did not (fully) established His Kingdom on earth at His 1st coming. Jesus is desiring & preparing people to be like Him in order to share His Kingdom with. This is the church He said He will build; a worthy Bride yoked together with Him. Maturity in Christ is simply Christ likeness in deeds, words and thoughts. And those who are (most) like Christ will be found worthy to inherit His Kingdom. Whether you’re aware of it or not as Christians this (inheriting the Kingdom) is what we’re living for in this present age and therefore it is to our advantage to have this knowledge and understanding at the forefront of our mind as we do life in order to live wisely and prepare ourselves for it. Do you often think about your life in the age to come (i.e. 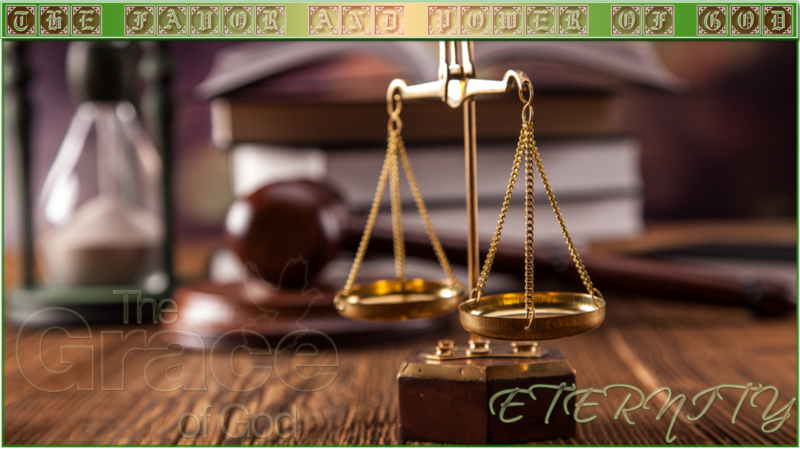 Heaven or the eternal age of the Kingdom of Christ on earth)? If you do then what do you think about and if you don’t why is that? It’s Paul who said in Colossians 3:1-3 that…set your hearts on things above, where Christ is, seated at the right hand of God. Set your minds on things above, not on earthly things. For you died, and your life is now hidden with Christ in God. 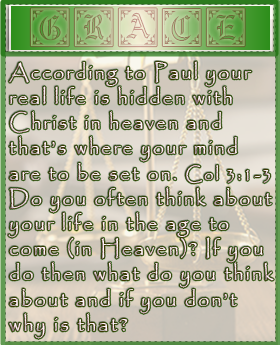 According to Paul your real life is hidden with Christ in heaven and that’s where your mind are to be set on. So if you tend not to do that, why do you think that might be? Perhaps you’ve heard the saying “Those who are heavenly minded are no earthly good”. This is so far from the truth cos first of all, it goes against the teachings and the way Jesus, the Apostles and the early church lived their lives. Even if there’s any element of truth in that saying, it’s probably cos those people think wrongly about heaven. There’s another saying that goes “If you think wrongly about Heaven, you’ll probably end up never thinking about heaven”. I think those who have this escapism (escaping from earth) mind-set when it comes to heaven simply have wrong mind-set on heaven. I also believe those who tends not to think about heaven at all also have wrong mind-set of heaven cos they don’t see how their life now will significantly affect eternity as well as they might not know nothing or very little about heaven and their life in it to cause them to set their mind on. I love this quote from C.S Lewis…“If you read history you will find that the Christians who did the most for the present world were just those who thought most of the next…It is since Christians have largely ceased to think of the other world that they have become so ineffective in this world. Aim at Heaven and you will get earth “thrown in” aim at earth and you will get neither” (CS Lewis, Mere Christianity). These series of articles will give an overview of some of the things in the age to come that we could set our minds on; that’s the Judgement Seat of Christ and Eternal Rewards.